The Rookie of the Year award is as important to the player as well as the franchise for which he works. Having a different player from the same team challenge for the award year in and year out is a great sign for your organizational depth. In 2010, both leagues had great races for the award. The Detroit Tigers had two players—Austin Jackson and Brennan Boesch—seemingly poised to take the trophy at the start of the year, winning top rookie honours in April, May, and June. They eventually lost to Neftali Feliz of the Texas Rangers. In the National League, there was a two man race between Jason Heyward of the Atlanta Braves and Buster Posey of the San Francisco Giants, with Posey eventually winning out. This season, there is another crop of hopeful winners. Here are my picks for the award as well as a dark horse in each league. There are a ton of potential impact rookies this season, so I won’t attempt to list them all. Feel free to comment and tell me how foolish I was to not list Kyle Drabek (Toronto Blue Jays), Jesus Montero (New York Yankees), Mike Moustakas (Kansas City Royals), Brandon Belt (San Francisco Giants), Freddie Freeman (Atlanta Braves), Mike Minor (Atlanta Braves) and/or any other top prospect expected to get playing time that I have missed. Wow. I mean, wow. We all knew that Jason Heyward was going to come in with a bang… but to blast a 3-run home run his first Major League at bat against Carlos Zambrano? !… Wow. That home run was the coolest thing I’ve ever seen. I got goose bumps and became slightly emotional. 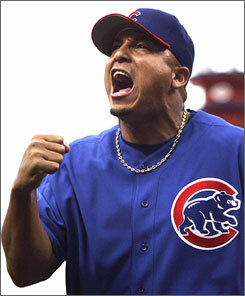 The second coolest thing I’ve ever seen, was when they showed Zambrano’s current ERA on the big screen… 40.15. Good news first: Unless you’ve been living in a cone of baseball silence during the past few months, you’ve heard of Jason Heyward. In case you have not heard of him… just think of Labron James in a baseball uniform. He’s 6-foot-4, 245 pounds, has the patience of a seasoned veteran, only 1 strikeout so far this spring, and he’s 20 years old. He’s being compared to the likes of Fred McGriff, Dave Parker, and God. All signs are pointing to him being the Braves starting right fielder come April, and we (Braves nation) couldn’t be happier. Five Tool Prospects has completed their initial list of the top 35 prospects in the minor leagues. In order to be eligible for the list, players must still be eligible for the Rookie of the Year Award (less than 130 MLB at-bats, 50 innings pitched, or 45 days the active roster). We will continue to expand the list and rank the top prospects in each organization, as well. Premium membership is required to see the complete list and scouting reports on these players (Top Prospects -> Minor League).